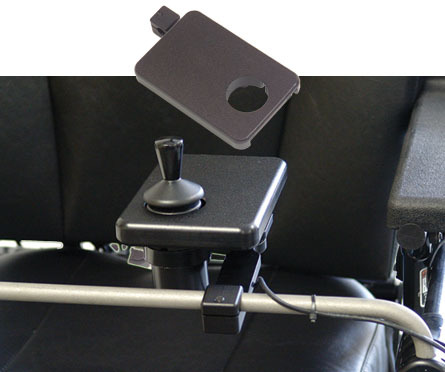 The ASL 603C Adjustable Height Driving Platform Mount for ASL Compact Joystick is an angle adjustable platform which allows the ASL 132 Pediatric Compact, ASL 133 Compact Single or ASL 134 Compact Dual Joysticks to come through the tray so that the client has a place to rest their hand while driving the chair. Specify Right or Left Side. Requires ASL 616 Gatlin Mount. Joystick Not Included.